Irish singer-songwriter Jack Lukeman is heading to Shrewsbury to perform at Henry Tudor House in March. Jack is a multi-award-winning, platinum selling household name in Ireland, referred to as a national treasure, famous for his astounding voice, powerful songs and passionate live shows. He has an unusual ability to transport his listeners on a journey with his incredible vocal range and style that blends rock & roll, ethereal balladry and even contains the occasional post-punk flourishes. The Irish troubadour returns with his twelfth studio album Magic Days, inspired by finding the magic in the mundane. The album features a veteran team of gifted musicians on it, with string arrangements from Golden Globe nominated composer, Brian Byrne (Katy Perry, Chaka Khan, Van Morrison) and long-time collaborator Derek Cronin. Conor Brady (The Commitments) provided guitar, with drums by Conor Donavan (Damien Rice / Ed Sheeran), with Greek sound wizard Vasileios Gourgourinis, wrapping up the production and Jack on guitar and vocals. One of the hardest working singers in the business, the last two years has seen Jack living life on the road with a remarkable 220 gigs under his belt, and supporting acts such as Van Morrison, Imelda May and The Proclaimers. With a fan-base that stretches as far as North America, Jack is a victim of his own success, with no shortage of gig offers, he feels more comfortable on the road than not. “To tell you the truth, the biggest buzz I honestly get, and it’s a very rare one, is from singing. I have to say, there have been stages where whilst singing and breathing all my air out during the process, it’s been so emotional, there’s been times where I have actually blacked out” explains Jack. 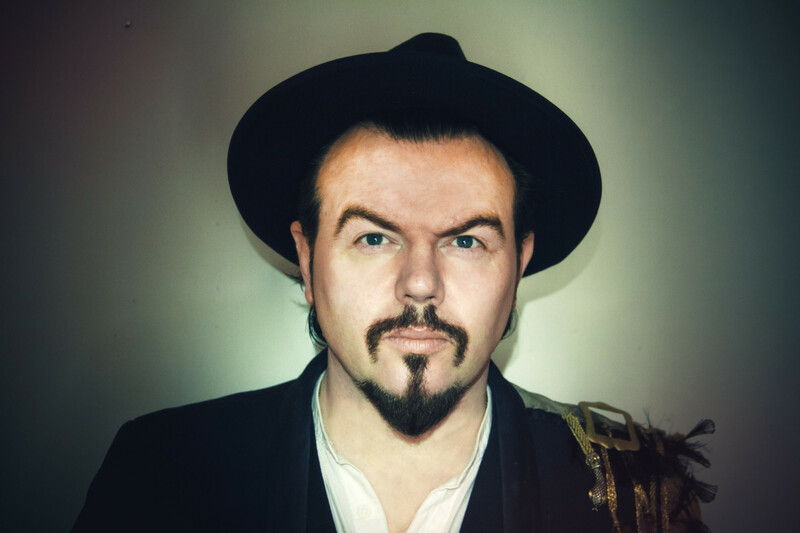 Jack Lukeman performs at Henry Tudor House in Shrewsbury on Tuesday 19 March.